PIE is an unique picture browser and viewer with exquisite photo metadata and file renaming features. 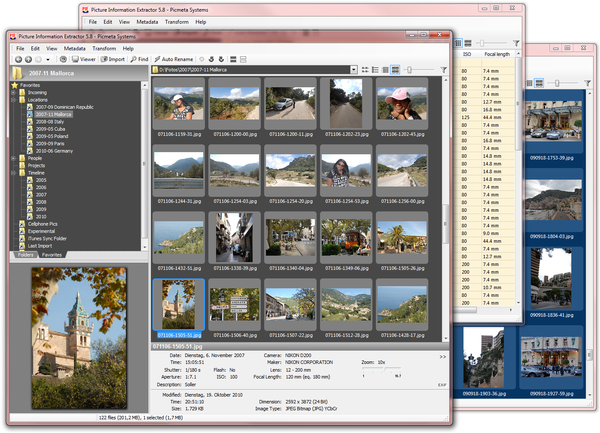 It extracts EXIF, XMP and IPTC from JPG, TIF and RAW files and makes it available in a convenient and welcoming interface. If you need more information please contact the developers of Picture Information Extractor (Picmeta Systems), or check out their product website.